The 2012 New York Auto Show has witnessed many redesigned vehicles being showcased. And same is the case with Japanese automakers, Toyota. 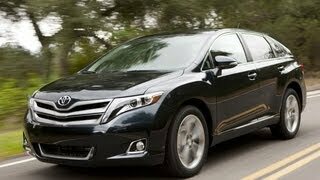 Toyota unveiled its 2013 Venza with the modest of makeovers. 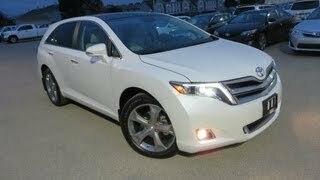 If we take a comprehensive look on the appearance of the 2013 Toyota Venza, we’d end up concluding that the car has one of the best look in the mid-size segment. The luxury quotient is more than even that of the Lexus RX, while staying smaller than the gigantic Highlander or even the RAV4. Moreover, in this newest of the model of the Venza, inclusion of redesigned front grille and tail lamps and even the classy flog lamps have done it all. They are few of the things that catch your eyes from the very first moment. Apart from this, the car is expected to be available with 19-inch rims for all the shade options, viz. Attitude Black, Cypress Pearl and Cosmic Grey Mica. The interiors have not been changed much, as the car is still 5-seater, with two seating rows and a pretty good cargo space in the back. For now, not much is known about the interior of this car as Toyota has kept the interior features under wraps. Turning our concentration under the bonnet of the 2013 Venza, we find the powertrain of the car still remains the same, i.e. it’s again the same 4-cylinder and V6 models. In fact, both models come with both front-wheel and all-wheel drive options. The 2.7L 4-cylinder engine produces a peak power of 182hp, while the same for the 3.5L V6 engine is 268hp. The horsepower of both engine models leads to a towing capacity of up to 3500 pounds. 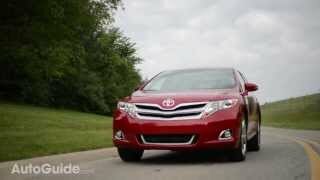 The engines have made the car quite fuel efficient with figures of 21mpg in city and 27mpg on highway. 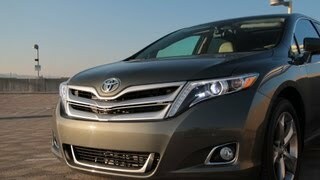 But the handling of the Venza is expected to be quite poor, as the car features soft suspension. And what adds to the numb handling of the car is expected to be featured in 20-inch wheels too. The 4-cylinder version is thus pretty uninspiring, while the V6 version is pretty good choice to get a Lexus RX350 - feel on the move. However, the Japanese automakers haven’t unveiled the price of the car. But it’s expected that it’s certainly going to cost over $30,000.